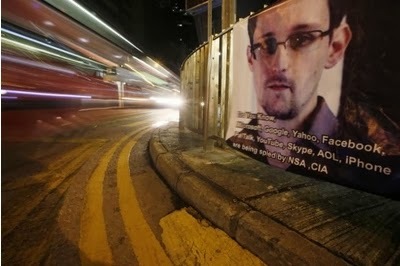 Wadler's Blog: Will Snowden be Glasgow University's next Rector? Will Snowden be Glasgow University's next Rector? From the Glasgow Herald. Spotted by Mitch Wand. "Having Edward Snowden as rector would give us a megaphone with which we can project our views to a global audience particularly on the issue of state surveillance and the very valid and welcome role of whistleblowers in a democracy," explained the PhD student, 27. "I think he has done a great service to citizens across the world in exposing the corrupt and immoral practises of the NSA and our very own GCHQ. "Studying at the university is dependent on the free exchange of information and freedom of speech, and I think Snowden's revelations hit to the heart of that."